Now that we’re nearing the tail end of spring, the days are warming up and all of us are probably turning the air conditioner on almost every day. While the air conditioner is designed to keep us cool, when it breaks down there are few things that will raise our temperature faster. 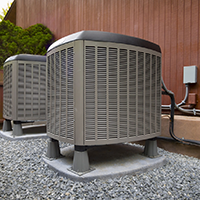 In this blog post, we will cover a few common questions about air conditioners and give you a few tips about how to make your AC unit last. If your unit isn’t working as well as it should be, give Tom Schaefer Plumbing, Heating, & Cooling a call. Our Eastlake HVAC experts will quickly and accurately diagnose whatever the problem is with your air conditioner, provide you with an estimate, and fix it in a timely manner. For nearly 100 years, Tom Schaefer has been the Eastlake area’s trusted source for cooling, heating, and plumbing installation and repair. You can trust our name and you can trust our experience. Why is My AC Unit Leaking? Air conditioner leaks can be tricky. Some leaks are noticeable almost immediately, others can take time before they are visible, and some can only be found if you actively search them out. 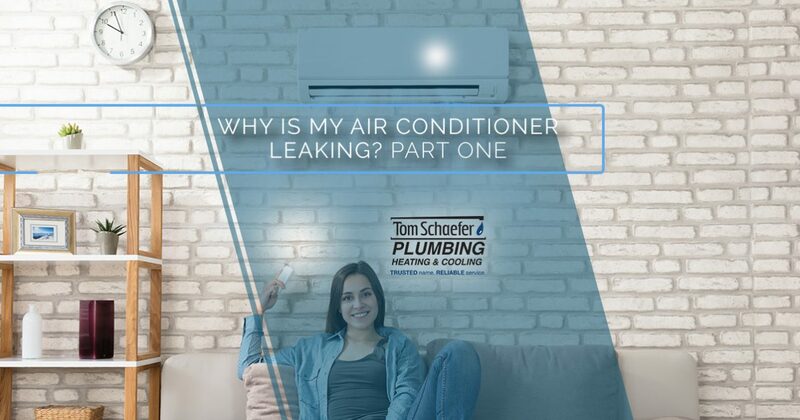 At the beginning of the season, preferably after you turn on your air conditioner for the first time, you should check to make sure that it isn’t leaking. While this is a simple procedure if you have an indoor or window unit, central air units can be more difficult to examine. If the indoor part of your air conditioner is in your attic, basement, or crawlspace, you will have to find it in order to check for leaks. Luckily, most units will have a removable overflow pan. This pan is designed to catch any condensation that is dripping off of the unit. However, if you forget to check the overflow pan early in the season, it can fill up and spill out. If your unit is in the attic or on a carpeted or wood floor, spilled moisture can cause a lot of damage. While some moisture is normal, if your pan is damaged, it won’t be able to contain any condensation. As a part of your early season inspection, carefully examine the pan for dents, rust, cracks, and any other areas that would allow water to escape. Use an epoxy glue to fill in any holes or gaps in the tray. If that solves your leak, great! If it doesn’t there are some other areas to check. Come back next month for part two of our blog about air conditioner leaks. If you need help repairing or replacing your air conditioner soon, please give us a call at Tom Schaefer Plumbing, Heating, & Cooling. We are Eastlake’s AC repair experts and we would love to help keep your home cool and comfortable all summer long. 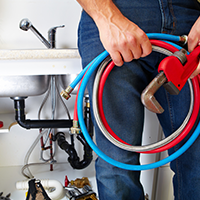 Contact us today for an appointment for all of your cooling and plumbing needs. 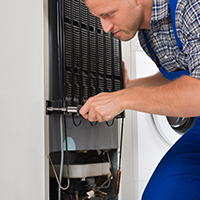 We will always provide you with the highest quality service for all of your residential and commercial heating, cooling, and plumbing projects.